No matter the size of the company, one of the biggest barriers faced in developing connected products is the risk involved in price uncertainty. Seluxit can help you reduce that risk by giving a fixed price both for the development stage, but also for the operation of your connected product — an important pricing factor unique for connected products. How much does Wappsto Cost? To make Wappsto as accessible as possible, it was important for us to make Wappsto free for the majority of users. We’ve strived to make our pricing structure as simple as possible. All that counts is the monthly amount of data used. For developers, published wapps, (paid or unpaid) will offset development costs (measured in data traffic) in a scheme soon to be announced. Remember that the things and services that you connect already have their own cloud operations, which means that if you have an IP camera you want to connect, for example, you don’t have to worry about the huge transference of data. That heavy lifting is done by their service. All that counts for Wappsto is the traffic generated by the communication between that service and Wappsto. Product manufacturers know that a new product launch involves a series of well-know costs than need to be reclaimed in product sales. But making a connected product entails a series of new uncertain costs. We remove that uncertainty for you with our clear pricing, both in developing and operating your connected product. Development costs are a one-time cost for helping our customers transform their conventional products to connected products. Because of our extensive experience, we're able to give you a fixed project price and fixed hourly rate. Typically, we can get a proof-of-concept up in one day and a prototype ready in a couple of weeks. Development and certification, in close colaboration with your team, typically lasts 4-6 months. Finally, the testing stages, including end-of-line testing, may last from 2-4 months. Our extensive knowledge will get your robust, market-ready product developed on-time and on-buddget. Although one of Seluxit's strenghts is being able to deliver the entire IoT solution, we nevertheless oftentimes work with partners to develop solutions. The core backend system, the Seluxit IoT Platform, is in fact built with collaboration in mind. Partnerships for development can be at the level of device development, as well as backend and frontend application development. When you sell a conventional product, you need to cover warranties and support. 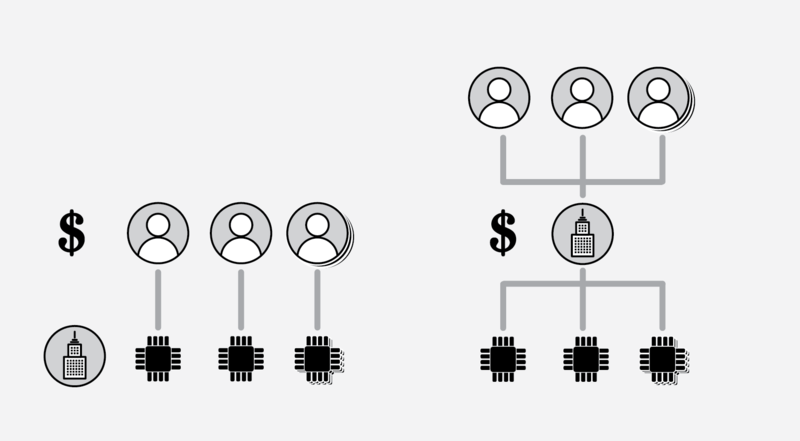 With connected products, you have a new layer of costs — the operation of your product's software. Companies sometimes even need to reconsider how they charge for their products. Regardless, you need to know how much operations will cost and be able to afford it for your connected product to be a sound business proposition. Seluxit has a simple and sane answer: pricing for the Seluxit IoT Platform operation is based on traffic. All that counts is the monthly amount of data used. Because the Seluxit IoT Platform pricing structure is so simple, it does not need to discriminate between individual or corporate users. This means that individual hobbyists as well as startups, and any sized company developing IoT products can expect free service because of the low data quantities of individual product development. 30% transaction fee for paid exchanges, relevant for developers creating wapps. No fee for non-paid exchanges. This is an initial offering with our new pricing model. Pricing is therefore subject to change. Data storage, such as log data, will soon be announced as a separate product. If the company producing the connected product does not need access to the data generated, the user accounts can be transferred to the end customers, effectively meaning that the operation of the IoT platform is free for the company. This means that Seluxit will have a direct relationship to the customer. Few companies choose this option, but its implication is that even if you create a connected product that is a market failure, you can still count on guaranteed operation of your system. This is important, because purchasers of connected products expect the product to function for a number of years. In both examples, each device sends 0,5 KB every 15 minutes. Data is both sent to and forwarded out of the IoT platform. Questions regarding our pricing tables? Don't hesitate to send us an e-mail or give us a call to have a discussion or schedule a meeting.